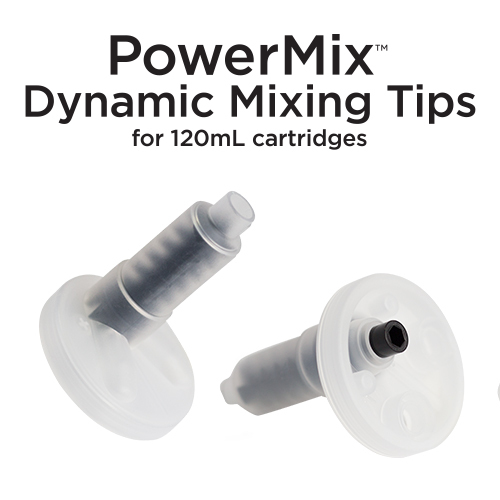 PowerMix 120mL Dynamic Mixing Tips are indicated for use with PowerMix 120mL cartridges. Dynamic Mixing Tips are indicated for use with AFFINITY Heavy Body Hydroactive Impression Material (Regular and Fast Set) and InFlex Maximum Support Tray Material (Regular and Fast Set) 120mL cartridges. Click here to view the PowerMix Instructions For Use / SDS. Click here to view the PowerMix Product Sheet.